Enabling Youth is a project executed by Badil Center in cooperation with Jerusalemite grassroots originations, Burj Al-Luqluq and Pal Vision are one of these organizations. This project aims to aware the participants about the policies of forced migration in Jerusalem and the solution method that is based on rights, in addition to enhance the self-resistance education against forced migration. The project aims also to improve other skills like photography, using professional and modern cameras, making interviews and gathering information about the cases that goes under migration and deportation, especially from Jerusalem. The training officially started in September in Badil Center. A number of trainers were brought in for the awareness sessions, as three monthly sessions were arranged. At the end of the training, the trainees committed to make a study for nine cases and nine issues of forced migration which include, deprive people from natural resources, land confiscation, racism, in addition to the non-governmental active people. 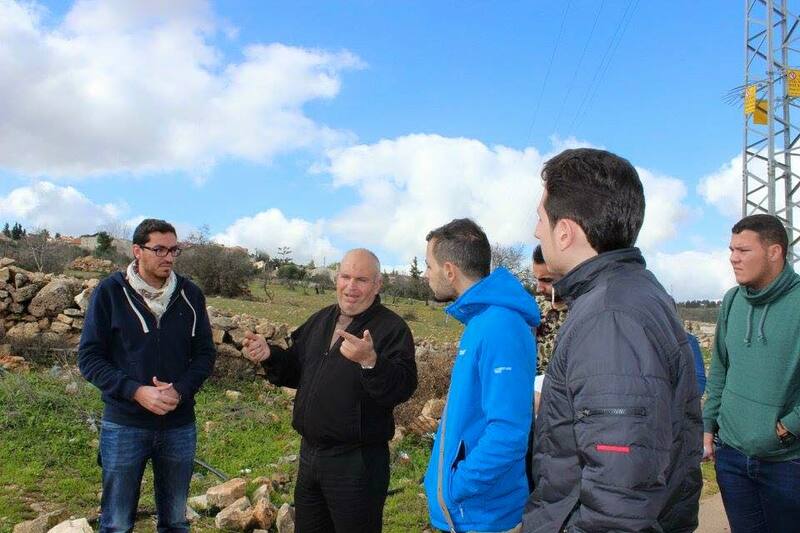 Moreover, a tour has been set for January, 15th, to go to Al-Nabi Samuel and Al-Khalayleh and Colonia villages, as a number of Burj Al-Luqluq volunteers participated.